June in New Orleans means that it's officially summer, and yes, it's hot-hot-hot. And no, it's not a dry heat -- sticky, muggy, and even sweltering are adjectives that best describe the weather that is rolling in. That said, it's actually a pretty fabulous month to visit. Really! Hotels are getting cheap and starting to offer summer deals, local-flavored festivals are still going on, and as long as you play it right (lay low during the hottest part of the day, wear cool clothes, and remember to hydrate), you'll have a great time. If you love live music, you'll find free concert series several nights of the week (pick up an OffBeat or a Gambit when you get into town for listings), and clubs around town are still very much hopping at night. Need more ideas? You're going to want clothes in lightweight, comfortable, breathable fabrics for daytime. Think sundresses, shorts and t-shirts, linen slacks, and if you really want to dress up for an occasion (such as lunch at the formal Antoine's), perhaps an iconic seersucker suit. If you plan on doing anything outside during the day, a hat with a brim is pretty important, and comfortable shoes for walking are always necessary. Sunscreen and bug spray are essential, though you can always snag them when you arrive. Because of the heat, restaurants, shops, and hotels tend to prefer their air conditioners set to Arctic, if not a bit colder. If you're going to be inside at any point, bring a layer (a light shawl, cardigan, or jacket does the trick), because the contrast can be shocking. New Orleans Oyster Festival (June 4-5) - This free festival celebrates the humble but glorious bivalve that has a home in so many of New Orleans' iconic dishes. (It also combats the idea that oysters can only be consumed in months which contain an "R".) Food vendors and music stages pack the Moonwalk and Spanish Plaza, adjacent to the French Quarter and the Central Business District alongside the Mississippi River. Vieux-To-Do: Creole Tomato Festival, NOLA Seafood Festival, Louisiana Cajun/Zydeco Festival (June 18-19) - Three free festivals joined forces to make an extravaganza in mid-June, celebrating a handful of Louisiana's favorite homegrown treasures: the iconic Creole tomato (a variety developed ages ago to flourish in sultry Louisiana summers), seafood, and Cajun and zydeco music. 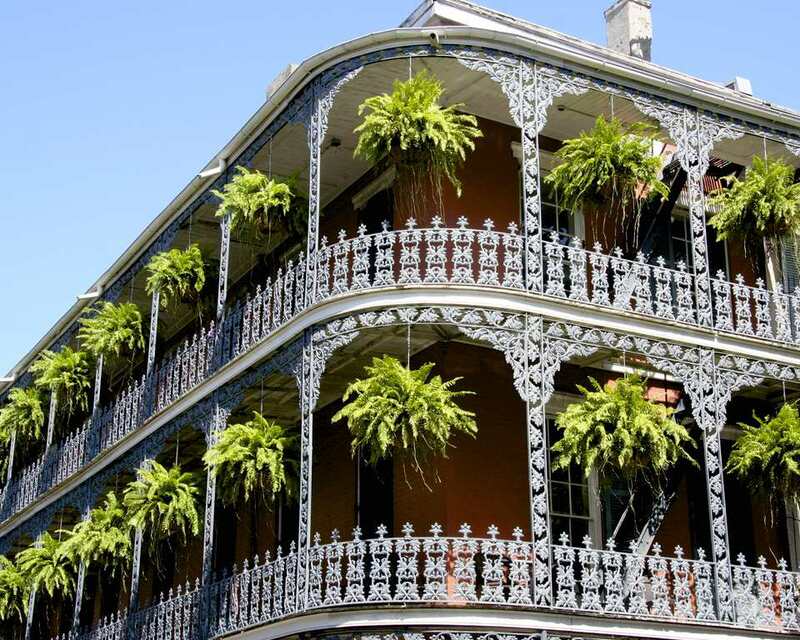 They take place at the French Quarter's French Market and on the grounds of the nearby Old U.S. Mint, and make for a great weekend of eating, strolling, and dancing. Father's Day Race in Audubon Park (June 19) - Believe it or not, one of the most popular running races in New Orleans takes place in sticky June, but why not? If you're gonna be a runner in NOLA, you accept that a good portion of the year, you'll be running in the heat. And the New Orleans Track Club makes this one, which has both 2-mile and half-mile entries, into a big ol' party in beautiful Audubon Park, with food and music and plenty of fun to be had. Essence Festival (June 30-July 3) - This enormous celebration of contemporary black music and culture, hosted by the magazine of the same name, takes place over the weekend before (or including) the 4th of July every year. Major-name concerts, motivational speakers, workshops, an enormous expo, and more bring attendees to the Morial Convention Center, the Smoothie King Center, the Mercedes-Benz Superdome, and other Warehouse District and Central Business District venues. It's a huge event with something for everyone, and the best part: it's almost all indoors, so the inevitable heat is barely even a factor.